Hearing protection. We want you to look after your ears! Our hearing is so important and unfortunately sometimes you don’t realise just how important until it’s too late! We want you to look after your ears! Protect your hearing at work and play with well made and fitted ear protection, don't take chances with your hearing, it is more precious than you realise. 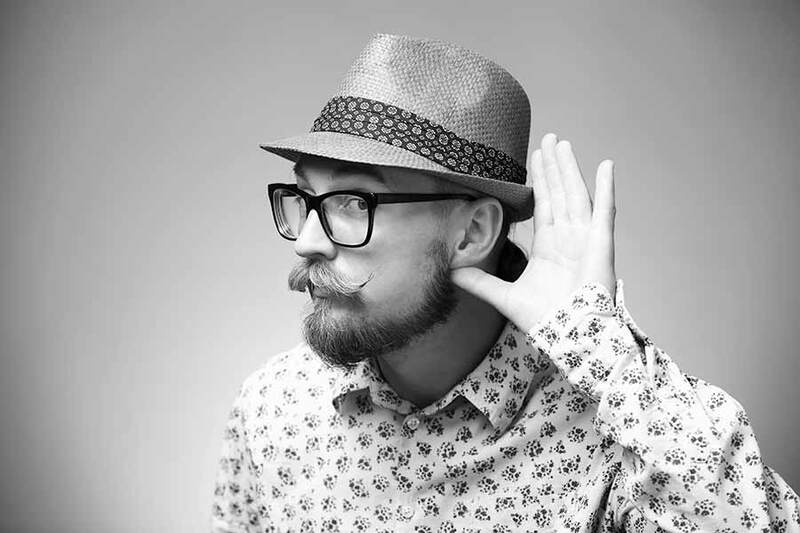 Hearing loss is often the direct result of an occupation, a recreational activity or simply exposure to loud sounds! Noisebreakers by EmTec: These are suitable for all types of activities, from people in factories and oil rigs to sports enthusiasts and live music lovers! They will protect your ears from loud sounds, but you will still be able to hear people talking to you. 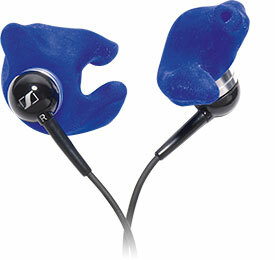 They are made from a silicone rubber and are custom made to fit your ear. The moulds have a filter in them, which attenuates sound – protecting your ears against noise. The plugs are really comfortable as they are made to fit your ears exactly and can be worn under headphones or helmets and are virtually indestructible! They are easy to wear hearing protection, comfortable and won’t fall out! Please look after your ears! The NoisePro range is designed for industrial, home & DIY and leisure hearing protection. Available with filters for many applications, our products are available in soft silicone for comfort and also durable acrylic. Virtually invisible hearing protection for home, leisure and industrial use. Noise exposure can contribute to tinnitus and hearing impairment. This means protecting your ears from prolonged noise exposure could be one of the best things you do for your long-term wellness. Wear your noise protection all day because noise is only attenuated when you need it. The intelligent circuitry inside ensures that you can hear low volume sounds as if you weren’t wearing hearing protection. This means that you can wear protection all day, safe in the knowledge that your hearing is protected. Sound boost amplifies sound, so that you can hear better, but still be protected from loud noise The NP100e is available in 2 versions: standard (ref: NP100e, for work or DIY use) and music (ref: NP100em, for musicians). 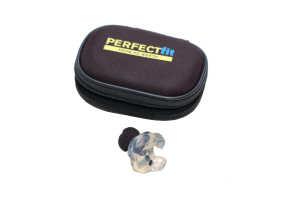 Both devices protect users against high decibel levels that may be causing serious hearing impairment. NoisePro NP100e systems employ top-notch components from Etymotic Research, which comes with a long history of expertise in sound quality and noise protection. As a PERFECTfit product, every Electronic NoisePro comes with our PERFECTfit promise and is supplied with a practical kit and protective case for the DIY enthusiast, professional at work, motorsport enthusiast or musician. What is the difference between NP100e Standard and NP100em music? Both units address the same problem: how to ensure perfect communication and protection for people who are often in situations where noise rapidly changes from quiet to loud. Both the NP100e and NP100em use the same hardware, although tuned slightly differently. The difference is in the way the systems adjust to the noise levels around them: for musicians, the system is optimised to give accurate sound reproduction, whereas the standard system focuses on providing optimum situational awareness for safety. 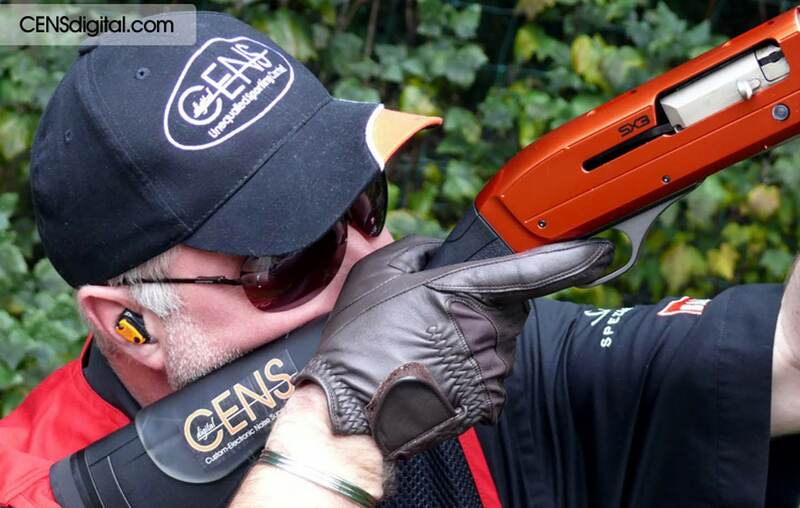 CENS digital are custom-made electronic noise suppressors for shooters. 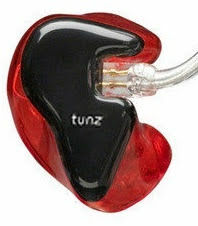 Being custom-made they fit exactly into the users ear, ensuring an extremely comfortable fit over long durations. Allows for normal conversation and the use of mobile phones without the removal of your noise suppressiont noises. 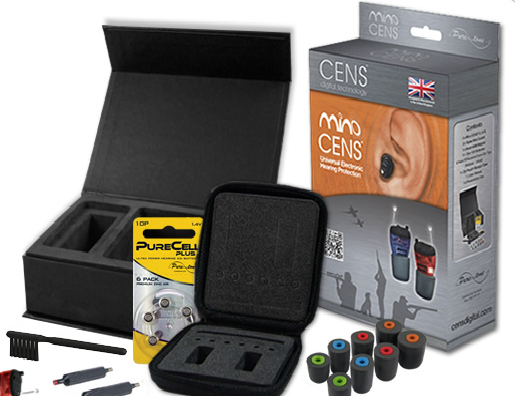 All models in the CENS range utilise the latest digital technologies and algorithms to control the level of sound within the ear. In addition, a push-button switch (CENS ProFlex 2, digital 2 and Hunter only) is used to select one of two programs. Optimised for game shoot where there are intermittent shots. This configuration also helps by amplifying sounds such as wings flapping, thus providing the shooter with advanced warning of approaching quarry. Optimised for clay shoots where there are continued shots. This system has been designed to allow more flexible noise suppression while still amplifying ambient sounds. Program 1 provides the standard CENS ProFlex features, such as excellent noise suppression and ambient sound amplification. Program 2 (Increased Wind Noise Reduction) increases the amount of wind noise reduction provided. Ideal for shooting in severe conditions. If you are fed up of headphones that keep falling out or that are uncomfortable – these are the solution! These are personally moulded earplugs which come with Senheiser head phones. They are extremely comfortable, they won’t fall out and they do an excellent job at blocking out background noise. They deliver exceptional sound quality – and even come in a choice of great colours! 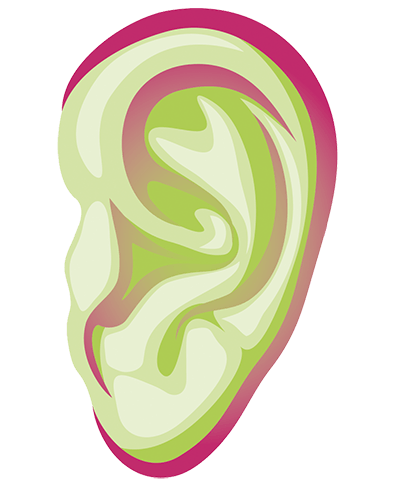 Worcester Hearing Centre provides much more than hearing aids, hearing tests and hearing loss advice. 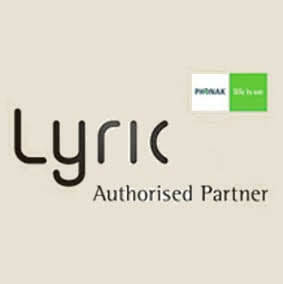 We realise that sound quality is important for many people in their day-to-day lives. That is why we offer custom made headphones, so you can enjoy real clarity and superb sound at lower volume levels. Custom earphones are comfortable and secure, ideal for use while exercising and because they dampen environmental noise you can listen to music at a lower volume level while still enjoying the softest notes. Molded Noise Cancelling Earphone Sleeves Standard earbuds leak sound. External noise enters the ear and it disrupts music; this results in less listening pleasure and higher volumes to compensate. These louder volumes can severely damage your hearing. MusicClear custom moulded earphone sleeves create a perfect seal to block unwanted external noise, resulting in better music at lower, safer volumes. 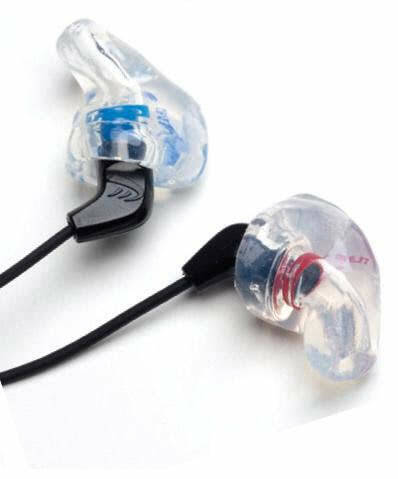 And because they are tailored to your ears, MusicClear buds are super-comfortable. We can make a custom moulded earphone sleeve for almost any kind of earphone. There are some listed here; if you cannot see your model listed below please get in touch as we will be able to help you find what you are looking for.